For the last twenty or so years, many in the medical and mental health communities said that the best treatment for anxiety disorder was the combination of medication and Cognitive Behavioral Therapy (talk therapy). Many also insisted that you can’t overcome a struggle with anxiety disorder without the use of medication. But is that opinion true? No, it isn’t. The medication notion reverts back to the days when medical and mental health professionals believed anxiety disorder was caused by a chemical imbalance in the brain. Based on this theory, they believed you needed to first correct the chemical imbalance and then address some of the behaviors that resulted from a struggle with anxiety. In this regard, they were half right. But as you now know, the chemical imbalance theory was proven false in 2011. It never was true. So, there isn’t any imbalance to correct. This eliminates the need for ‘chemical imbalance correcting’ medication. Another reason medication is prescribed is to help patients who have anxiety symptoms. Since medication is the only tools most doctors have to assist anxious patients, that is what they offer. But this doesn’t mean medication is required. It just means that’s all doctors have to offer to try and help their patients with anxiety issues. Recent studies over the last several years, however, have found that medication used to treat anxiety disorder is relatively ineffective and performs no better than placebo. Recent studies have also found that people who use medication as a way of dealing with anxiety disorder have a very high incidence of rebound - a return to medication once it has been discontinued. So medication for the most part provides no actual value. Yes, there are some anxious people who benefit from medication. But there are some anxious people who benefit from alcohol, too. That doesn’t mean the body has an ‘alcohol imbalance.' It just means mood altering medications and/or substances can affect some people positively, but not that they are solving any problems. The placebo effect is another aspect to consider. Research has found that much of the benefit of anti-anxiety and antidepressant medications comes from the placebo effect. And that makes sense. Since anxiety is caused by a troubled state of mind, if a person thinks his medication can help reduce his symptoms, naturally he will fret less, which all by itself can reduce anxiety and the stress impact on the body. This reduced anxiety and stress can make him feel better. Nevertheless, medication is not required to overcome anxiety disorder. We eliminate anxiety disorder by addressing the body’s overly stressed state (which eliminates anxiety symptoms) and the behaviors that motivate apprehensive behavior. This can be all accomplished through talk therapy, natural means, support, and effort. How can believing you need medication to overcome anxiety disorder hamper recovery? 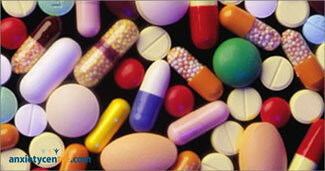 Believing that medication is required to overcome anxiety disorder comes with many problems. People who experience no benefit may mistakenly conclude that there is no hope of recovery. Believing there’s no hope can fuel anxious and depressive behaviors, which are counterproductive to recovery. There are some medications that can hamper a person’s ability to recover. If a person is doing the correct behavioral work but is prevented from experiencing meaningful results, this can also reduce a person’s hope for full recovery. Medications known for impairing recovery include all benzodiazepine medications, earlier SSRI medications, SNRI medications, and common prescription sleep medications, to name a few. All of these examples can impair the body’s ability to realize meaningful progress. Medication can set up chemical and psychological dependencies. These dependencies need to be broken before lasting confidence and success over problematic anxiety can be achieved. With some medications, breaking these dependencies can be difficult on its own, never mind factoring in the shaky confidence of overcoming a struggle with anxiety. Medication often adds one more layer of complexity to overcoming anxiety unwellness. Research has shown that anti-anxiety and antidepressant medications are notorious for causing chemical-related rebounds after discontinuation. These rebounds can shake the confidence of someone who is working at overcoming a struggle with anxiety unwellness. Overcoming anxiety unwellness is a challenge on its own. Adding medication related problems often only adds more challenges on the road to lasting recovery. Anxiety isn't something that needs to be cured because it isn’t an illness. Dealing with our apprehensive behaviors, which cause problematic anxiety, solves the entire anxiety unwellness problem. This behavioral work is required regardless if medication is used. In addition to the above four problems with medication, medication can make a person feel much worse. Approximately one third of people who take anti-anxiety and antidepressant medications feel worse. And for some, much worse. Feeling worse can complicate anxiety unwellness recovery. Feeling worse due to medication can also lead a person to believe that there isn’t any hope of recovery and that they are doomed to a life of symptoms and misery. These conclusions can easily sabotage recovery. anxietycentre.com: Information, support, and coaching/counseling/therapy for problematic anxiety and its sensations and symptoms, including the anxiety myth you need medication to overcome anxiety disorder.